One US marine has been killed and all other 21 aboard an MV-22 Osprey have been injured after their aircraft experienced a “hard-landing mishap” at Bellows Air Force Base in Waimanalo, Hawaii, US Marine Corps confirmed. 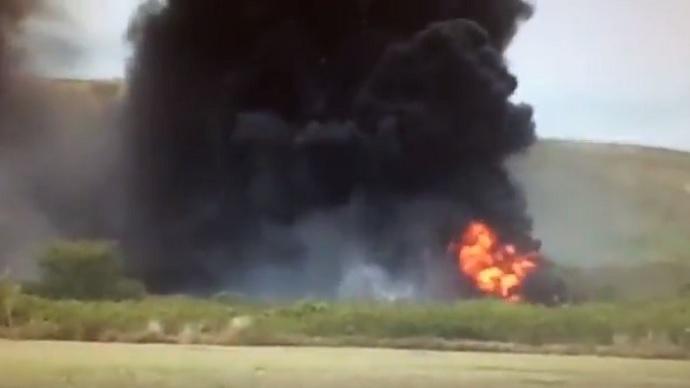 Honolulu fire crews responded to the military aircraft crash at Bellows on Sunday afternoon, after locals reported heavy black smoke rising from the area. “An MV-22 Osprey from the 15th Marine Expeditionary Unit experienced a hard-landing mishap while conducting training aboard Marine Corps Training Area – Bellows at approximately 11:00 a.m., Hawaii time,” the US Marine Corps said in a statement. Emergency services were deployed to the scene and local hospitals were ready to receive the injured as initial reports indicated several people might have been critically injured.